Get your tickets for the 2nd annual Oklahoma's Songwriting Festival. Follow this link to purchase your tickets! Thursday night is Oklahoma night at the Blue Door. This is a FREE SHOW! Come out and see the talented Kierston White, Beau Jennings, Annie Oakley and Andy Adams in the round. Growing up in Oklahoma, Ada native Zac Maloy couldn’t have known he would become a “professional songwriter.” Now, living in Nashville and with a fair share of hits to his name, he still doesn’t like the term. Maloy will be bringing several of his denim-wearing dude brethren to OKC this month for the inaugural Oklahoma Songwriters Festival from April 28 to April 30. With special events lined up for each of the three days, Maloy said the festival will seek to connect artists with fans of songwriting as well as help guide young performers, writers and production specialists looking for future opportunities. To put on the event, Maloy has brought in some of his closest songwriting associates, including: Marcus Hummon, Jim Beavers, Graham Colton, Marti Frederiksen and J.D. McPherson. 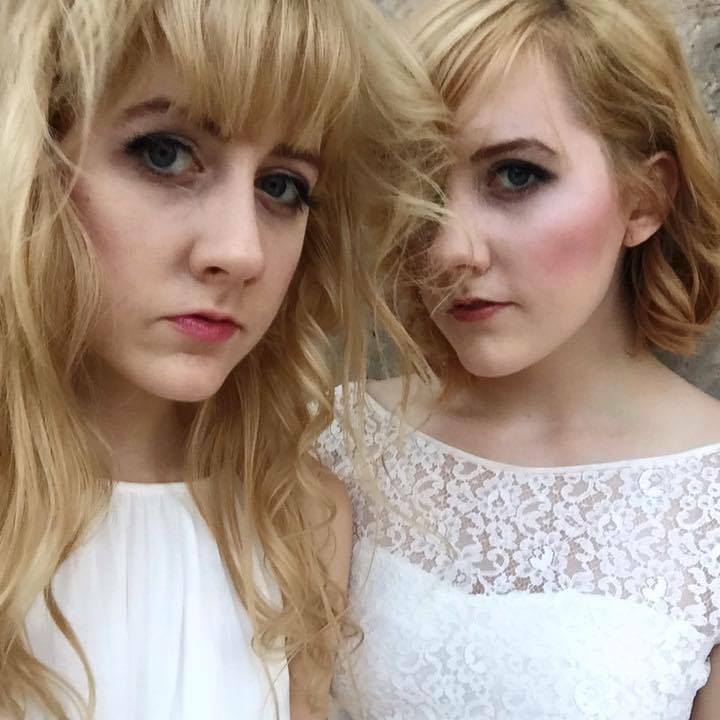 The weekend will feature several songwriting workshops as well as evening performances. NonDoc is a sponsor of the event. But the festival will also offer Maloy an opportunity he hasn’t had in a decade. For more information, visit OklahomaSongwritersFestival.com. Tickets can be purchased online here. Singer songwriter Beau Jennings added to the Blue Door show. Singer songwriter and Oklahoma's own Beau Jennings has been added to the Thursday night Blue Door show on April 28. Learn more about Beau Jennings here. Zac Maloy, John Humphrey and Jesse Davis of The Nixon's will be performing a few songs at the show Saturday night. Come hear a few of the bands favorite songs in an acoustic setting. First time for them to take the stage together in over 12 years. Meet Marcus Hummon - set to participate in the festival. Inaugural Oklahoma Songwriters Festival set for April. The inaugural Oklahoma Songwriters Festival is set for April 28-30 in Oklahoma City. Festival founder Zac Maloy, who grew up in Ada and is now a Nashville, Tenn.-based writer, will bring a handful of his accomplished songwriter friends in from Music City for three days of writing sessions with local songwriters, panels and small concerts. The evening shows will be one-of-a-kind events for the state of Oklahoma, where the audience will be able to sit back and listen to the writers of some of music's biggest hits, sing their tunes and tell their stories behind the songs. "Part of our goal is to create momentum and broader relationships for the Oklahoma music community, while at the same time providing a unique set of shows not commonly available to the local music fan in Oklahoma," said Maloy in a news release. Set to join Maloy for the three-day event are Jim Beavers, who co-wrote “Red Solo Cup” by Oklahoma-based superstar Toby Keith and “Watching Airplanes” by Gary Allan; Marcus Hummon, who co-wrote “Bless the Broken Road” by Rascal Flatts (which includes Picher guitarist Joe Don Rooney) and “Cowboy Take Me Away” by the Dixie Chicks; and Marti Frederiksen, who co-wrote “Jaded” by Aerosmith and “Undo It” by Checotah native Carrie Underwood, among others. You are now able to purchase tickets to all events. Click here to get your tickets! ACM@UCO to provide a home base for the festival. ACM@UCO will be the hub for the Oklahoma Songwriter's Festival. On the corner of Flaming Lips Alley and Oklahoma Alley, we couldn't have found a cooler location! Oklahoma's own Graham Colton is set to participate in the Oklahoma's Songwriters Festival. After a major label career, numerous TV appearances and the limiting musical peg of “singer-songwriter,” Colton has gone through a complete reinvention on his new album Lonely Ones. Credit his reinvention to a few things: Colton’s return to the Oklahoma music scene; a budding friendship with the Flaming Lips; and for his new record, an entirely new approach to songwriting. And while that early career led to success — major label albums (Drive and Here Right Now), performances on The Tonight Show and The Late Show, videos on TRL, tours with everyone from John Mayer to Dave Matthews Band to Maroon Five — there were tradeoffs. A little stifled creativity. The musical designation of being a singer-songwriter, a genre not known for taking risks. Things changed after Colton’s move back home. There, he met his wife, and re-discovered a thriving music scene…which included a creative friendship with Wayne Coyne of the Flaming Lips. “Oklahoma has a tremendously active music community,” says Colton. For Graham's full bio please click here. Jim Beavers is set to attend the Oklahoma Songwriter's Festival. He has had dozens of songs recorded by artists such as Chris Stapleton, Luke Bryan, Dierks Bentley, Tim McGraw, Toby Keith, Gary Allan, Blake Shelton, Miranda Lambert, Josh Turner, Billy Currington, Trace Adkins, Brooks & Dunn, Brad Paisley, Faith Hill and others. Beavers' compositions have received multiple CMA, ACM, BMI and NSAI awards. Since 2008, Beavers has co-written nine #1 songs including "Drink a Beer" - Luke Bryan, "Red Solo Cup" - Toby Keith, "Am I the Only One" - Dierks Bentley, "Felt Good on My Lips" - Tim McGraw, "Why Don't We Just Dance" - Josh Turner, "Sideways" - Dierks Bentley, "Watching Airplanes" - Gary Allan. He will be on hand to write, perform and participate in panel discussions at the upcoming festival. The Oklahoma Songwriter's Festival, held at multiple locations throughout Oklahoma City April 28 - 30, 2016, and the Oklahoma Film + Music Office announce an open call for 3 Oklahoma songwriters to participate in one-on-one songwriting sessions with prolific Nashville industry professionals during the festival. All genres of songwriters will be considered. Songwriters from across the state are invited to apply. Every songwriting session is different. It is recommended that songwriters come prepared with an idea, but be flexible and open to creating new material from scratch, depending on the flow of the session. The open call for Oklahoma musicians to participate in the Oklahoma Songwriter's Festival is in promotion of theOklahoma Music Guide, the Oklahoma Film + Music Office’s online database of Oklahoma musicians and music businesses. Therefore, acts must be registered in the database in order to be selected. If you are not already registered, please register for the Oklahoma Music Guide before submitting your application. Applications must be received by 11:59 PM on March 21, 2016. 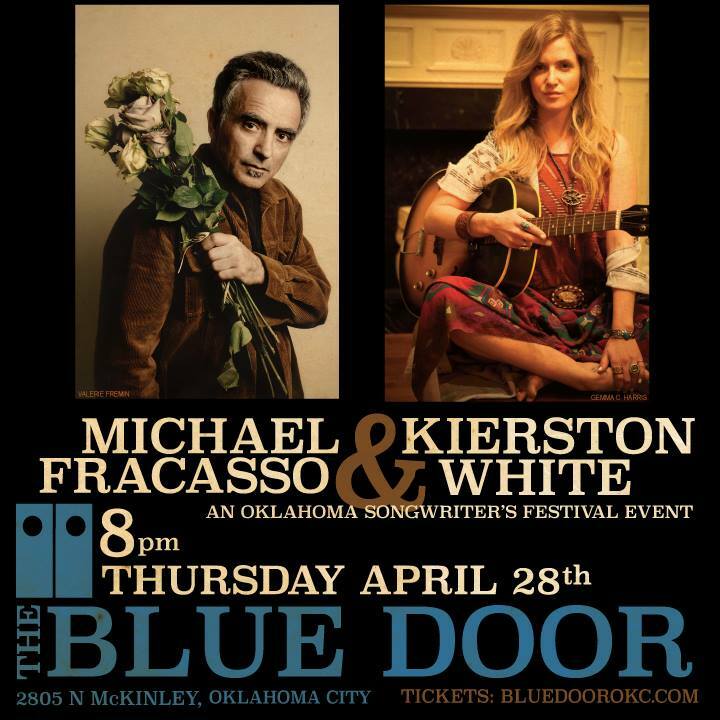 The Oklahoma Songwriter's Showcase will take place at the iconic Blue Door on April 28th at 9:00PM. Well known as one of the best listening rooms in all of Oklahoma, the show will feature several Oklahoma artists including the talented Kierston White. The Blue Door is a BYOB establishment. 2805 N. McKinley Ave. OKC, OK - we hope to see you there!